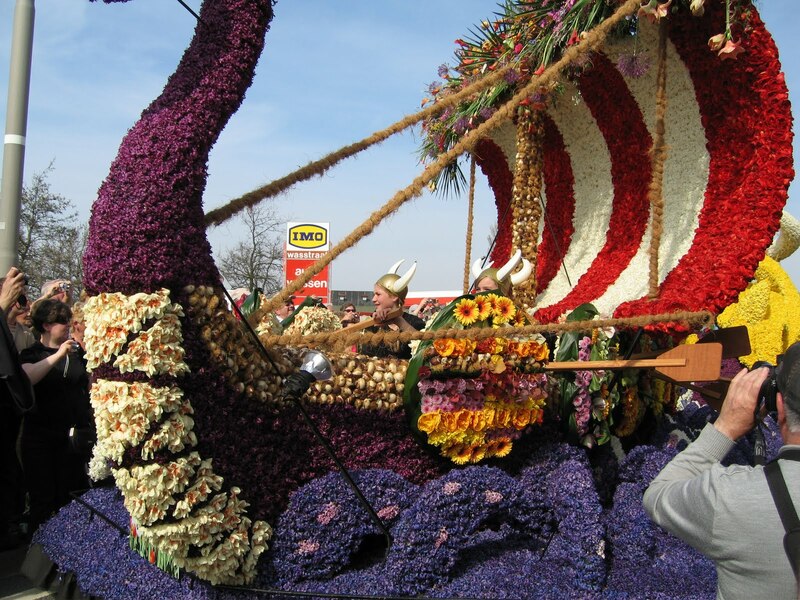 The highlight of the Holland trip was the flower parade. 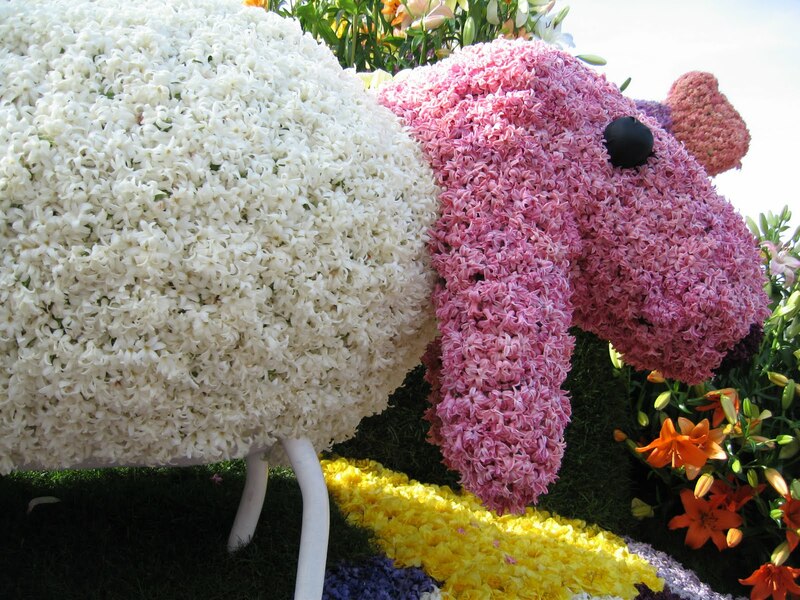 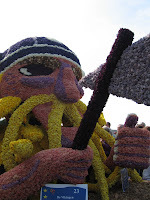 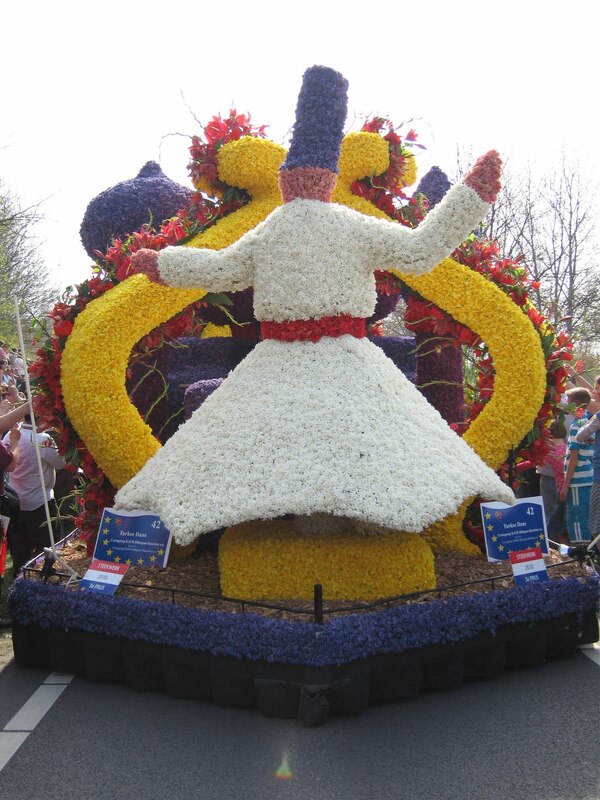 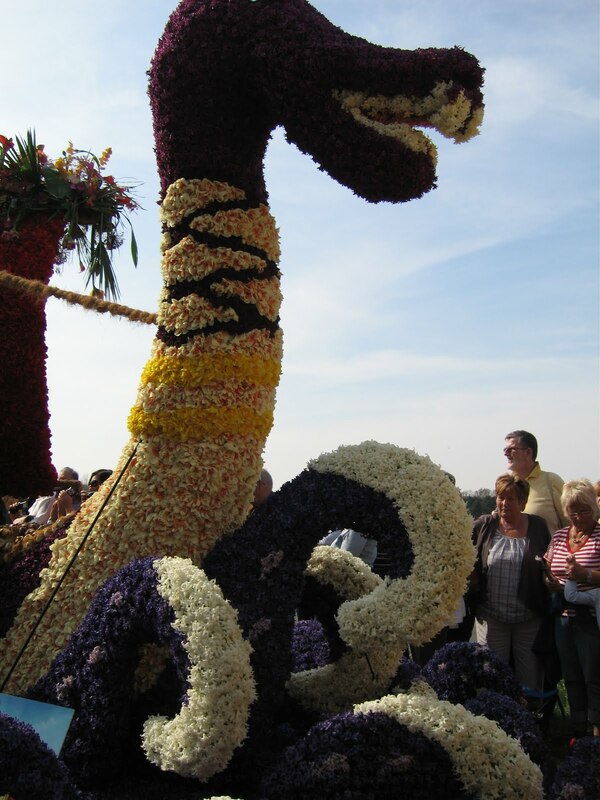 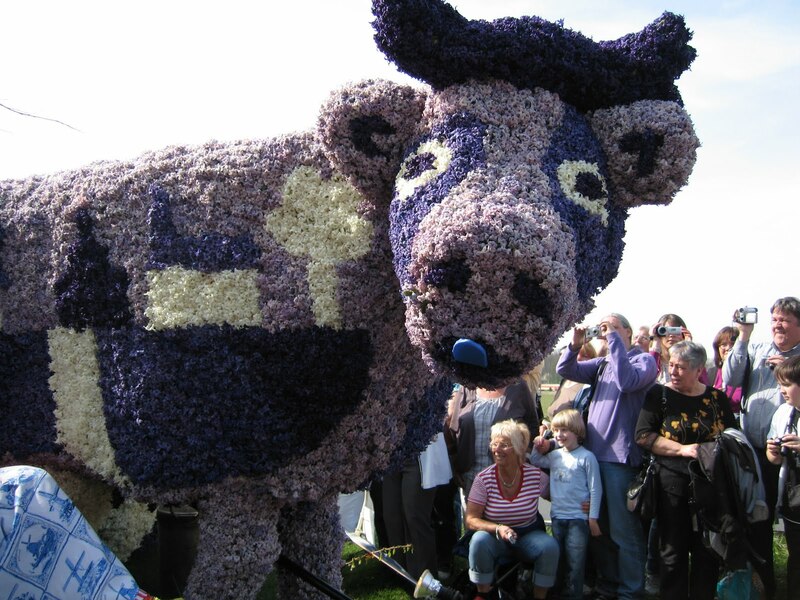 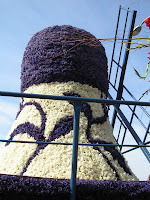 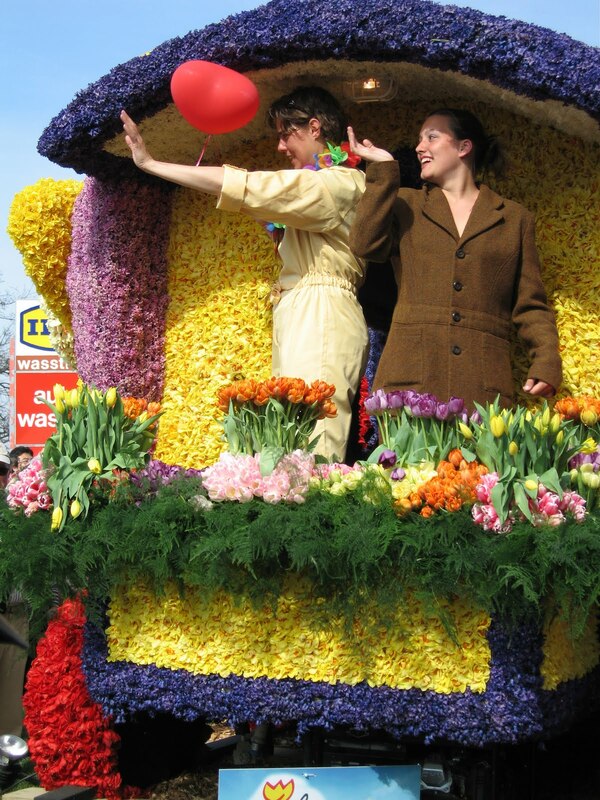 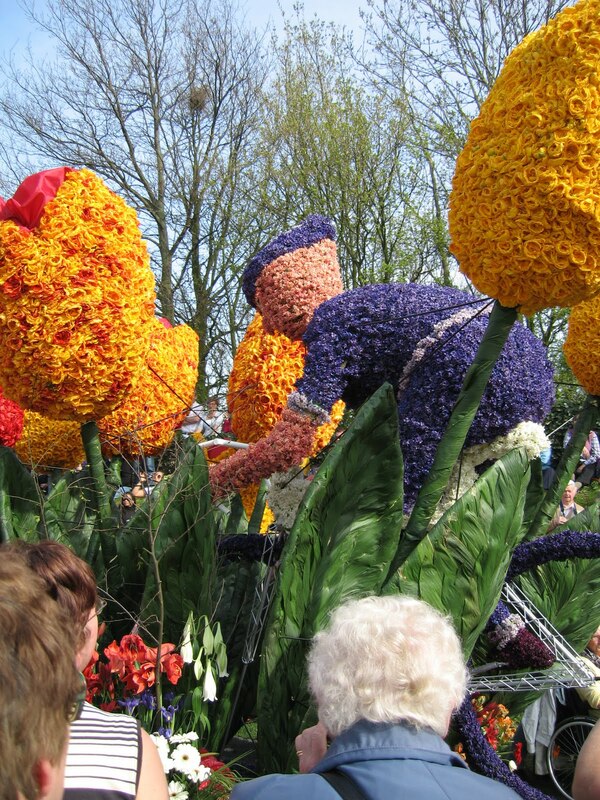 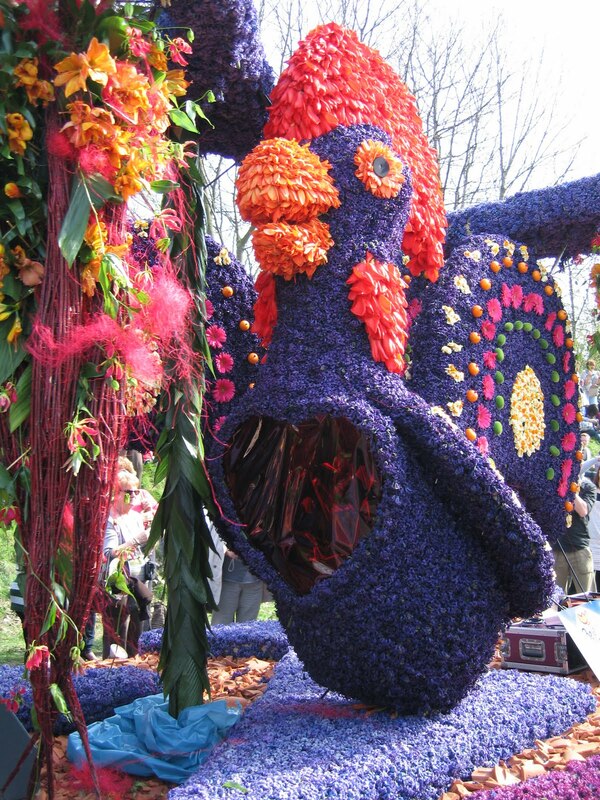 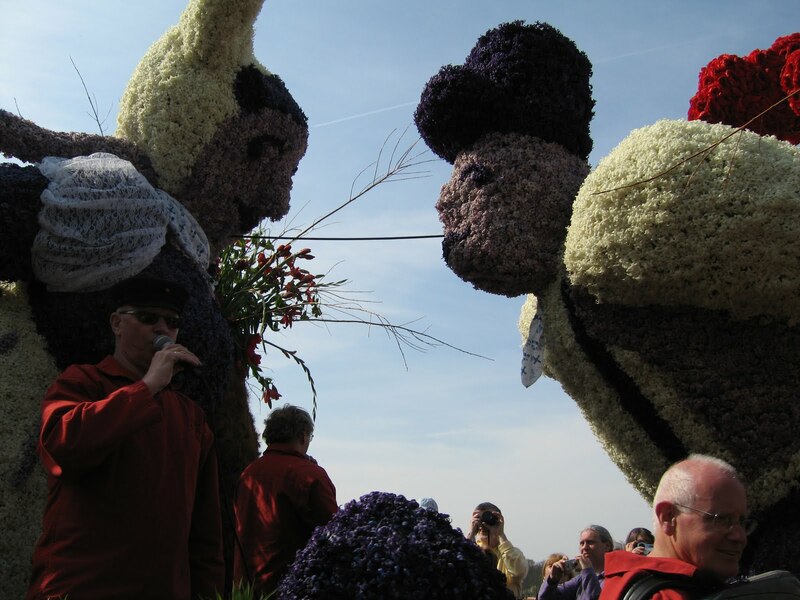 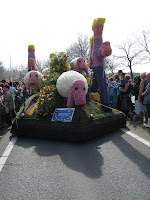 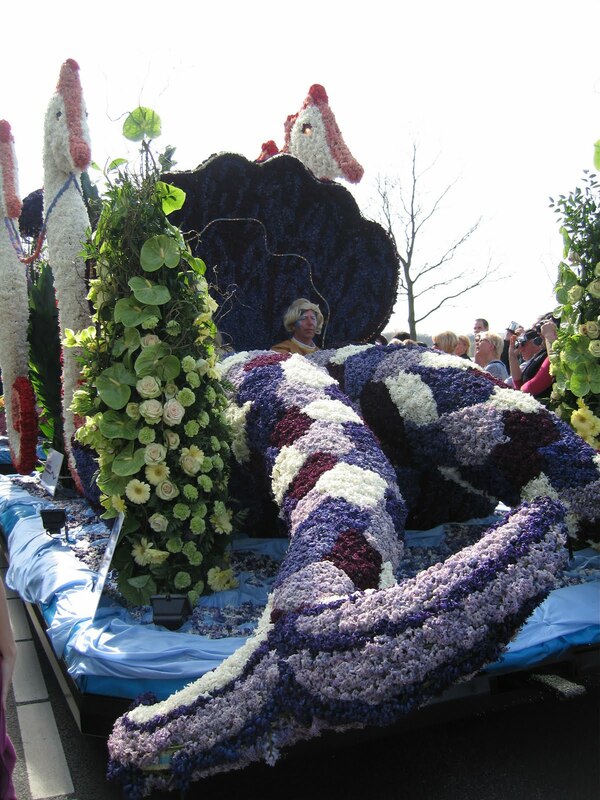 On the last Saturday in April, all the flower growers from the region of Am Lisse, Holland create floats made of thousands of flowers. 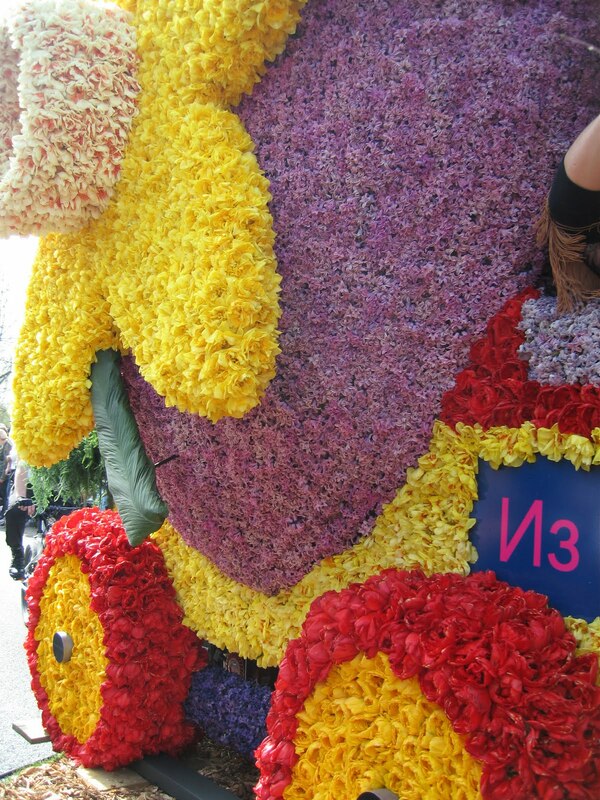 The attention to detail is absolutely amazing. 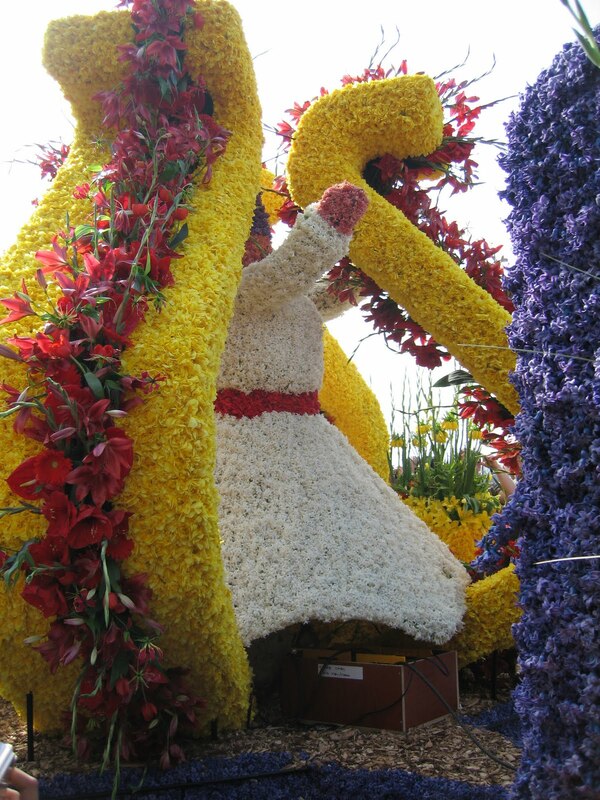 Each float has a different theme. 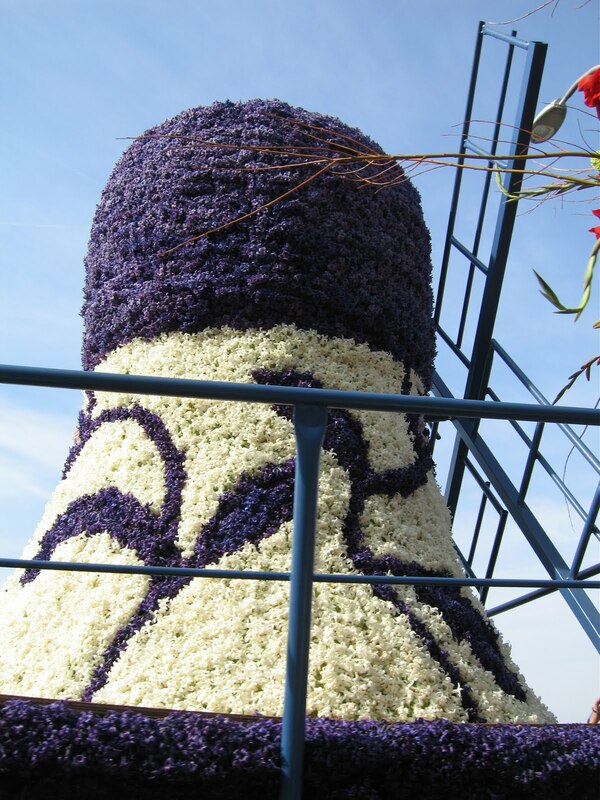 And they all smell wonderful. There are between 15-20 floats each year. 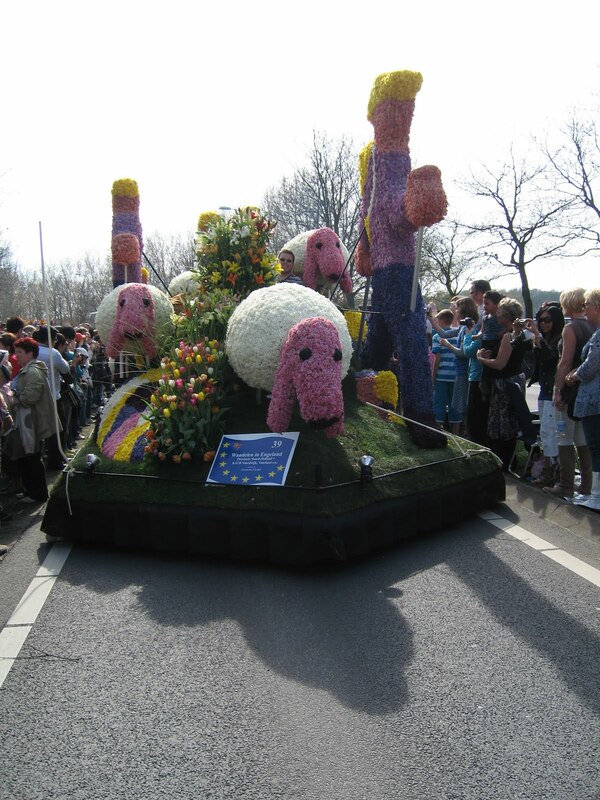 They travel 40km throughout the day. 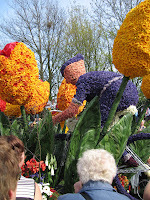 We caught the parade at the end of the day (hence the reason some of the flowers are drooping in the pics below). Below are some of my favorite floats. 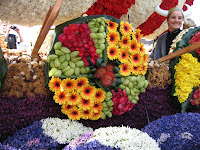 To make pics bigger, click on them. 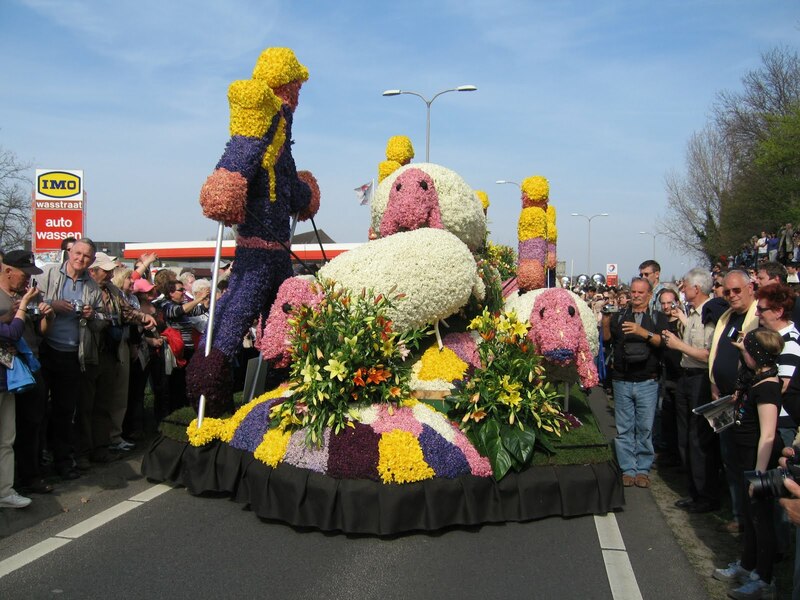 Holland float - with windmills, cows, and dancing Dutchmen in clogs (both flower covered dutchman and actual dutchman dancing). 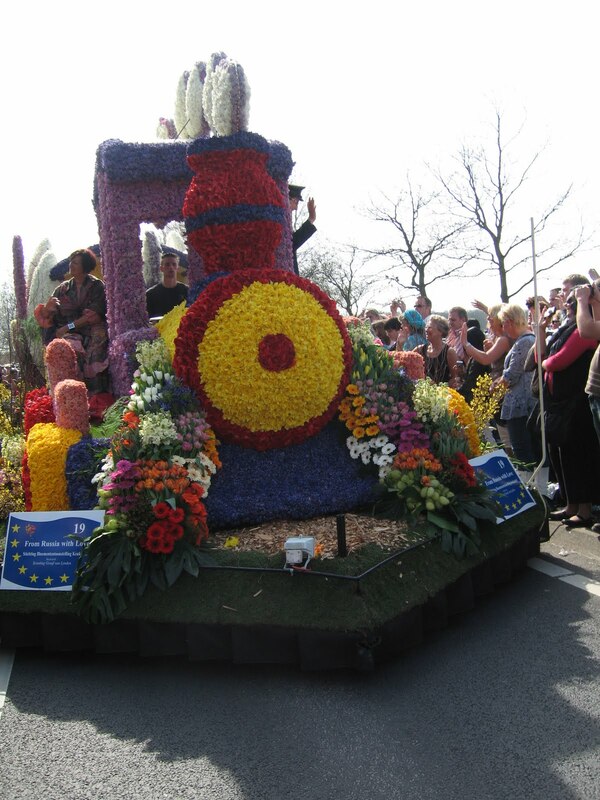 Train float - with engine & caboose. 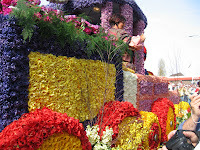 The detailing on the side of the train is really pretty, as are the tulip box on the caboose. 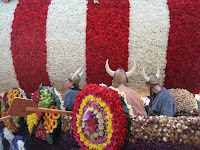 Viking float - the detailing on the shields on the boat is amazing. 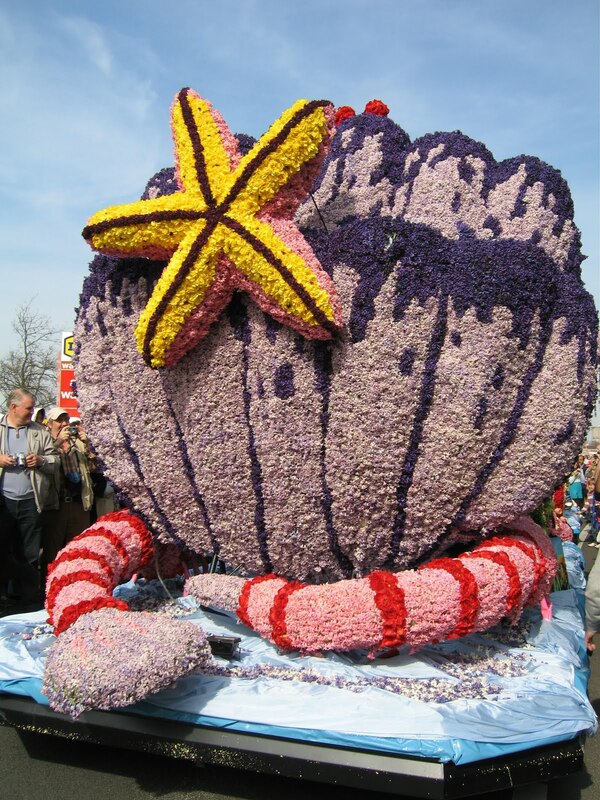 The use of veggies, sea shells and flowers together is nice. 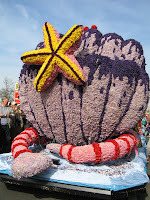 Under the Sea float - this is my favorite. 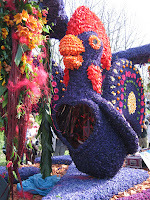 The lobster is awesome! 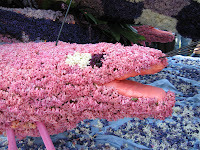 It would be cool if there were blue and pink lobsters. 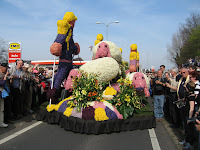 Hiking in Holland float - the sheep are cool. 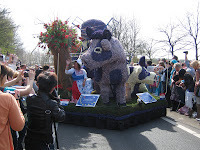 It would have been fun for them to add animanl noises (many floats had singers or dancers). Dancing Dolls float - the red lily along the sides are pretty. 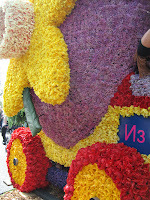 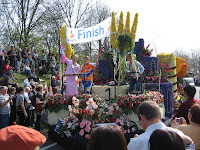 Finish Line of Bike Race float - this is really cool in that they made flowers out of flowers. 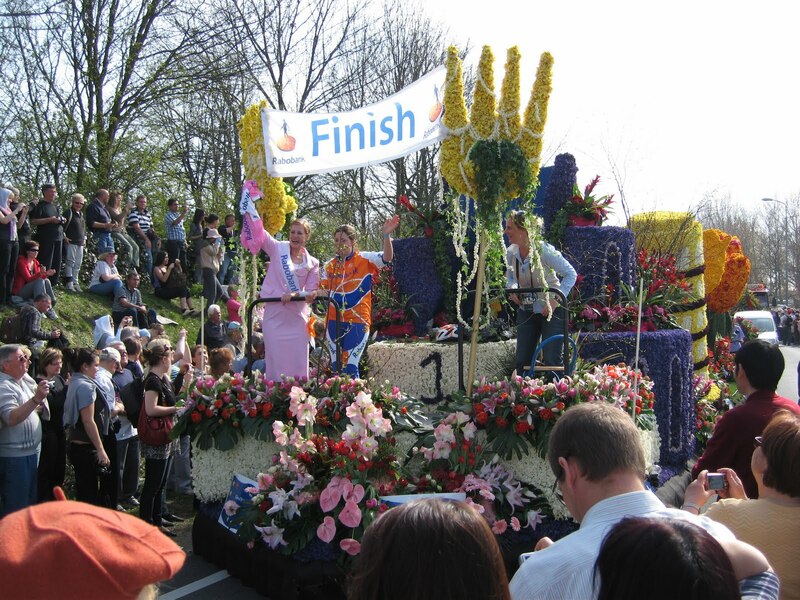 The sizing of the flowers and people is a lot like Alice & Wonderland... with spandex.